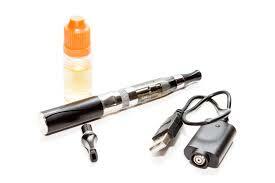 Most E-cigs have the same makeup overall. The design is pretty simple when you break it down. 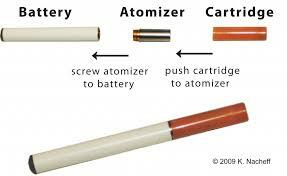 You have a cigarette type design that contains a battery that when puffed on, heats up a liquid usually consisting of a flavoring (menthol, tobacco etc.) 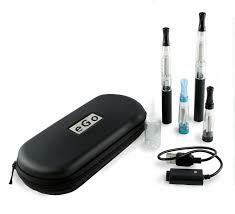 that contains vegetable glycerin and nicotine. This flavoring is contained in a cartomizer/atomizer or a "tank" that has a heating element that vaporizes the liquid resulting the feel of a "puff" or "drag" like a real cigarette. Most e-cigs have a button that controls the length of the drag some e-cigs have an automatic setting resulting in a very realistic sensation. More of a visual person? Below I attached some blueprints of a basic e-cig that break the process down a little more. I also posted a few videos that take this info a step further. Here are some videos I uploaded that give you the best of both information worlds. I am not affiliated with some of these vendors in the videos but I thought the videos choosen did a very good job overall in explaining how E-cigs work. Keep in mind every E-cig manufacture tries to differentiate themselves from one another by making small changes on how the user can actually use the device or by allowing the user to customize it to their liking so make sure to check out multiple vendors throughout this site.